Rule #220: I appreciate you thinking that I look good and have a nice haircut, but that’s no reason for me to get out of bed and get your breakfast when Daddy is already standing in the kitchen. I am the Meanest Mommy in the Whole Wide World. I am forced to make rules & observations that I never knew would be necessary before I became a parent. © Meanest Mommy and Rules by the Meanest Mommy in the Whole Wide World, 2009-2016. Unauthorized use and/or duplication of this material without express and written permission from this blog’s owner is strictly prohibited. Feel free to link directly to this blog all you want. 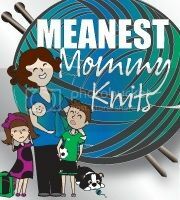 To contact Meanest Mommy, email MeanestMommysRules (at) gmail (dot) com.